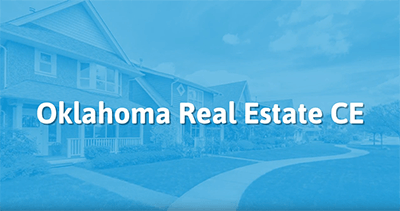 Complete your continuing education to renew your Oklahoma real estate license today. All of our courses can be completed At Your Pace online in order to help you maintain your license. Once you finish your class you will have an official certificate of completion available and we will report your course completion to OREC for you automatically. We are approved by the Oklahoma Real Estate Commission (OREC Provider ID 177123). Licensees are required to obtain 21 hours of continuing education every three years. 6 of the 21 total Hours must be on 'Required Subject Matter'. 15 of the 21 total Hours can be on Elective CE. Brokers must take the 'Broker in Charge' course to renew. 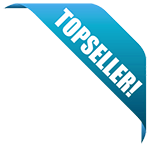 Sales Associates may take the 'Broker in Charge' course as an elective. The post-license requirement for Provisional sales associates are separate and unique from continuing education requirements. This special Oklahoma package course is designed to meet all 21 hours of continuing education required by OREC, including all of the Elective and Broker in Charge (BIC) requirements and Core topics in one convenient package. Get started on the mandatory CE requirements today. This course will meet the Elective and Broker in Charge requirement for licensees and covers multiple core topics that relate to the real estate profession. Updates include extensive review of changes to the Oklahoma Broker Relationships Act as well as lessons regarding the responsibilities and opportunities of running a real estate brokerage in Oklahoma. Successful completion not only makes for a more efficient and productive brokerage, but ensures the consumers of Oklahoma access to better-prepared and better-qualified real estate representation and a more reliable real estate transaction process. This course contains all 6 of the Required Subject Matter content courses which are needed to renew your Oklahoma real estate license. This course contains 1 hour of your Required Subject Matter training. The course covers the Oklahoma Broker Relationships Act including a review and update of statutory v. common law agency, a look at the Buyer Broker Service Agreement, and in-depth reviews of several individual sections of the OBRA. The course covers issues behind the Fair Housing laws and prohibited actions, including a review and update of the Oklahoma and federal fair housing laws and the role of the Oklahoma Office of Civil Rights Enforcement. The course covers changes in Oklahoma broker relationships, updates on the latest in Oklahoma real estate rules and regulations, as well as updates on federal rules and regulations affecting the real estate profession. The course covers conduct and ethics issues related to the Oklahoma real estate profession, identifying the repercussions to careers when professional conduct issues arise, applying the conduct and knowledge of ethics learned to career situations, and avoiding the potential for censure or license revocation. The course covers the historical background, evolution, and recent developments in Oklahoma law pertaining to the real estate profession. The course covers contract law as it pertains to the Oklahoma real estate profession, including understanding contract terms, identifying the parts of contracts and forms and their uses, and using contracts and forms promulgated by the Oklahoma Real Estate Commission.